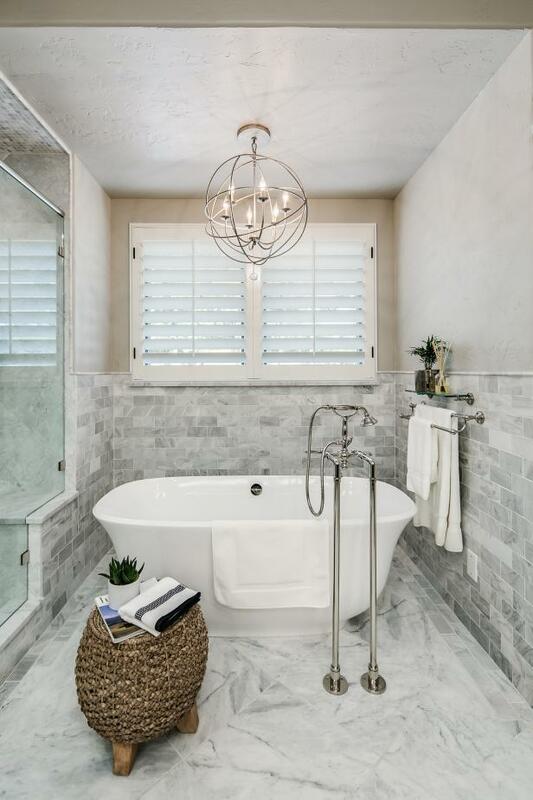 The first step to curating a luxurious bathroom is to clear the clutter. I mean inside and out of every cabinet. Think 5 star hotel declutter. 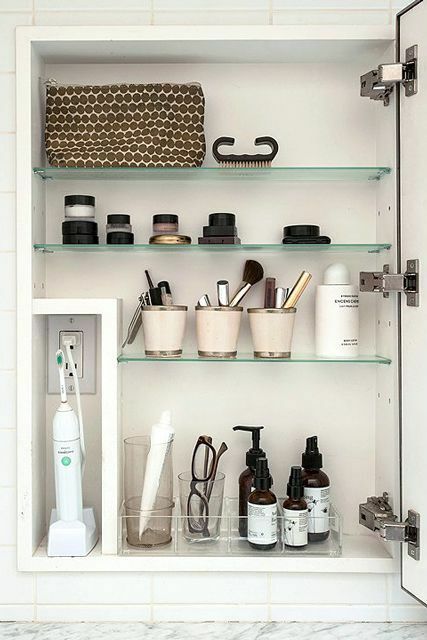 Check Pintrest for some great ideas on decluttering. My process is to take everything out, throw out what I do not use or want and then re-oragnize it. 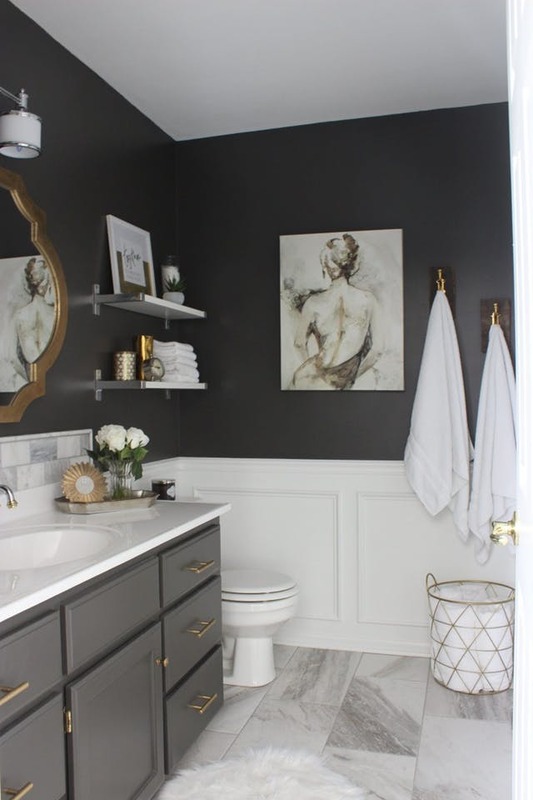 This is your first step to making your bathroom an actual space you want to spend time in! Using a non-traditntal bathroom rug, elevates your bathroom to living room status pronto! There are so many options out there in every price point. I have found mine at Target. Change your lighting and change your bathroom. I love unique lighting in bathrooms. I always try and have a lamp as well as ceiling lighting or sconces. I love the bling of a chandelier. If you cannot afford a new light buy a can of spray paint in gold, silver, black or whatever color suits your fancy and paint it! This actually is the fastest way to update your bathroom. I love the look of this cabinet and the gold gets me going. It is a huge trend right now. Again, paint your existing hardware if you cannot afford all new handles. I just did it in my kitchen as I needed 53 handles.... that is a lot of $$ for new handles so I painted them all black. 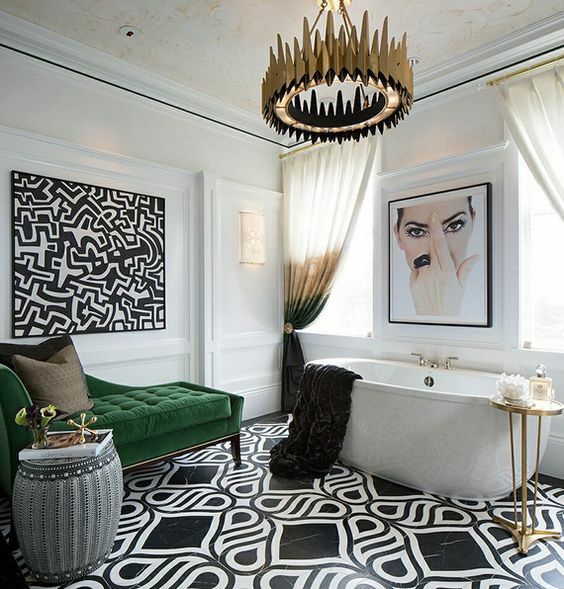 Artwork can make your bathroom feel like you are at a 5 star hotel. Why should art be limited to the rest of the house? I love art in the bathroom. So many choices to buy or if you are a crafty one, make your own art. Chose a chaise lounge chair or a garden stool, adding seating can create a more intimate space as well as add a place for your significant other or kiddo to come in and chat with you at the end or beginning of your day. Maybe you have a stool or old chair in your house. 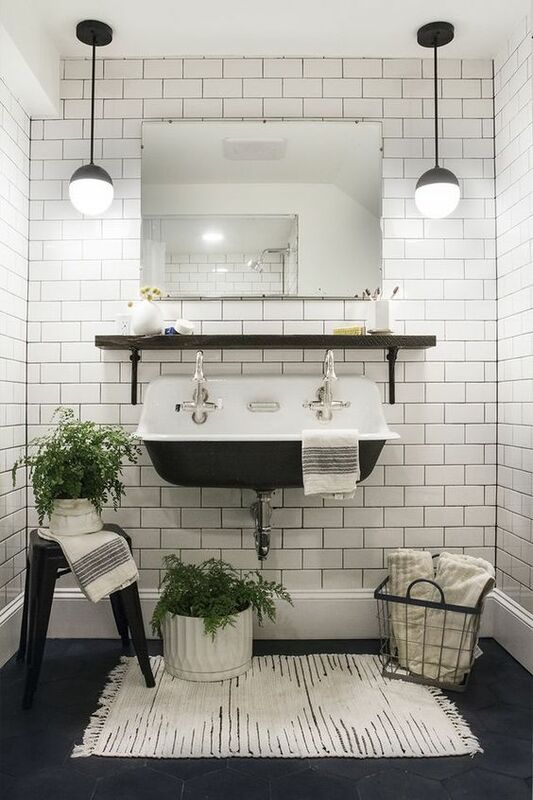 Before you send it to Goodwill, consider repurposing it for the bathroom! I love plants and I am pretty serious about the fact that all of the rooms in my house should have plants. It is good for the air quality and putting a living thing adds another texture to your rooms. If you have a bathroom without natural light, use a good quality imitation plant. You can find them everywhere.